Sod removal in Winter Park is easy if you know who to call! If you have old sod in your Winter Park yard, then you have a couple of removal options. You can remove it yourself or you can hire a professional company to take care of it for you. If you were to do it yourself, and you do not have a lot of experience it can take you a lot of time. First, you will need to contact your utility company to ensure there are not any underground wires buried, then you will need to use a shovel or rent a sod removal machine. If you do not have a lot of experience with this, it can become an arduous and messy process. If you want to save time and make sure the removal is done properly, then you should contact a professional to get Winter Park Sod Installation or Removal. When you contact a professional, they will have the proper experience and tools needed to successfully remove your old sod from your yard. You will not have to worry about delays or them destroying your yard. After they have done the removal, it will be ready for them to install the sod or for you to take over and do it. To ensure you get it removed properly, you should only work with a professional sod removal company in Winter Park. Save time and have sod delivery to your Winter Park home! Now that you have the sod removed, it is time for the delivery of sod to your Winter Park home. When you hire a company to deliver the sod it is important that you ensure the sod they deliver is freshly cut and not dried out. If they do not deliver or have fresh sod, this should be a deal breaker and you should not choose them. Once it has been delivered, you will have the option of installing it yourself or hiring a professional to do it for you. Before you hire a company, you should discuss with them what type of sod they offer, how much they charge and if they are able to deliver it to you. It is also important that the company you hire stand behind what they deliver and be willing to make any replacements of sod which are reported within 24 hours of delivery. Also, if you want to install it yourself, you need to hire a company who will deliver it and allow you to do this. After you have done your research, you will see that we at Ground Source are the perfect company to hire for the delivery of sod in your Winter Park home. We offer a wide variety of sods, will deliver it and guarantee that it is fresh and ready to be put down. Read more about what we offer by clicking here. 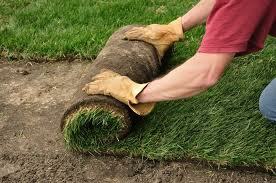 Proper installation of your sod will make your yard more beautiful! Now that you have your old sod removed, the new sod delivered, it is now time for its installation which will transform your yard. Instead of the old dingy sod, you will now have fresh and beautiful sod. While installing the sod, it is highly recommended that you also get an irrigation system so that the grass receives the right amount of water to stay healthy and thrive. Read more about the benefits of an irrigation system by visiting this website. We at Ground Source take pride when we install the sod, as we want our clients to be happy. We take the time to level any imperfections in the yard, water the area ahead of time, and flag the sprinkler heads. Once we have everything installed, we will set the sprinkler timer so that the sod will be watered twice a week. If there are any watering restrictions in your area, we will ensure the timer is set to not water during those times. We will also provide detailed instructions on how to change the watering of your lawn. 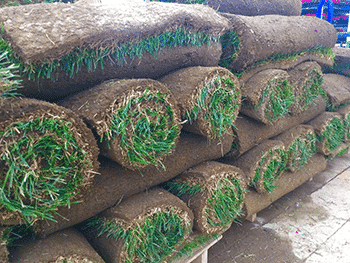 We offer a 30-day limited warranty on the sod. If there are ever any problems, you can contact us, and we will take care of it. So, if you want your yard to look more beautiful, you should contact us for the installation of sod in your yard. We will take the stress and worries out of the entire installation process.